Pat Russo, Barbara DiTata, Steven Perez, and Tom Sommero were not in attendance. Gerry McEnroe resigned from the Board and was not in attendance. 2. Robert Joyce (“Bob”) made a note that there were 12 Board Members present, and therefore, there was a quorum. 3. 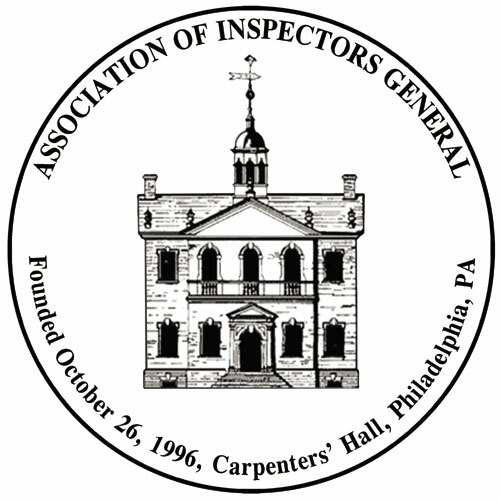 Steve noted that Gerry McEnroe resigned from the SCA OIG and the New York/ New Jersey Chapter and that his position as a Board Member still had six months left on its term. Steve said that SCAOIG Maria Mastajo was interested in serving on the Board. Steve made the motion to elect her as a Board Member to replace Gerry McEnroe. Barry seconded the motion, and all approved. 4. Steve said that at the December 2015 Board Meeting we will be holding Board Member elections at that meeting. We will need to elect officers as well. 5. Steve stated that the main topic for this meeting is the need for Chapter to provide training to its members. Ned said that if we have speakers, John Jay will provide the facilities for the training. Possible topics for the training that were discussed included the Brookings Institute’s study regarding federal OIG offices and statistics, Medicaid Fraud, Cyber Security, Cyber Investigations, Integrity Monitors, etc. Kevin suggested that the Board ask its members what types of training they may be interested in obtaining. Steve asked that people give some thought to other possible training topics. 6. Steve said that membership renewals are coming up and we should make effort to try to bring in more members to our Chapter. Steve stated that we have approximately 160 members, of which 80 are full-time employees in the OIG community, and 80 are John Jay students. 7. Ned mentioned about a new possible joint degree program with CUNY Law School which may need an endorsement letter from the AIG. Ned will provide a draft of the letter to review. 8. Ned discussed the possibility of issuing an annual survey on various IG-related topics including investigations, EEO, etc. The survey could also be sent to international IG entities. Steve asked that Ned distribute a copy of the survey for the Board Members to review. 9. The Board Member component of the meeting then concluded. With no other business items, Steve concluded the meeting at 9:20 a.m.